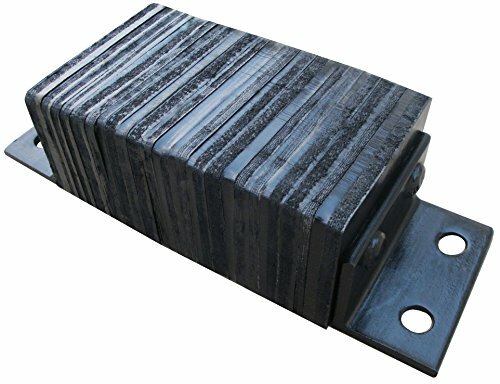 Laminated style dock bumpers provide durable, economical protection for your loading dock and trailers. Units are constructed of fabric reinforced rubber from recycled truck tires. Laminated style dock bumpers provide durable, economical protection for your loading dock and trailers. Units are constructed of fabric reinforced rubber from recycled truck tires. Pads are laminated between painted structural angles and held together with 3/4" steel tie rods. Installation is quick and easy by bolting or welding units to dock. Width is bolt hole center to bolt hole center. If you have any questions about this product by YM, contact us by completing and submitting the form below. If you are looking for a specif part number, please include it with your message.